What is Cypress Oil ? 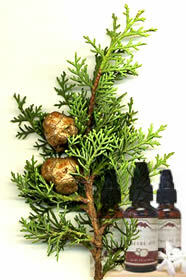 Cypress essential oil is steam distilled from the twigs and leaves of the tree. It is usually pale yellow, sometimes with a green tint. It's aroma is fresh, evergreen woody, and reminiscent of pine needles. 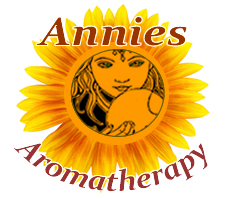 It is an energizing fragrant oil used for balancing and purifying. Cypress oil has astringent, diuretic, and depurative (purifying) properties, as well as having a deodorant action. So it has been used in skin care products, especially to help tighten skin. The reason it has been helpful in lessening the appearance of cellulite (and varicose veins) is it's ability to reduce water retention and increase circulation. Cypress is also antibacterial and antiseptic, so can be used instead of pine oil. It blends well with cedarwood, ginger, lavender, bergamot, black pepper, chamomile, clary sage, ylang-ylang, and the citrus oils such as lemon. Used in pine, fragrances, it acts as a modifier. Use it in a facial skin toner to help tighten pores, and mixed with grapefruit makes a soothing bath blend to help combat cellulite. Avoid using while pregnant or breastfeeding, and with hypertension. Botanical Information - Rituals & History : The cypress tree is tall with a conical shape and produces small flowers that are followed by round cones or nuts. It has historically been used to comfort people during times of grieving. Ancient Greco-Roman culture used cypress medicinally and as a purifying incense.